I repeat, Pokemon Go is far from dead. DID SOMEONE SAY POKEMON FEST? Woah! Niantic, Inc. CEO John Hanke showed up and graced the event during the first day of the festivities. Check out Tricky Baymax’s coverage here (http://thefanboyseo.com/2016/10/31/pokemon-fest-trainers-nostalgia-realized/)! I was able to drop by the second day, October 29, and I had so much fun covering the activities for Team Fanboy. 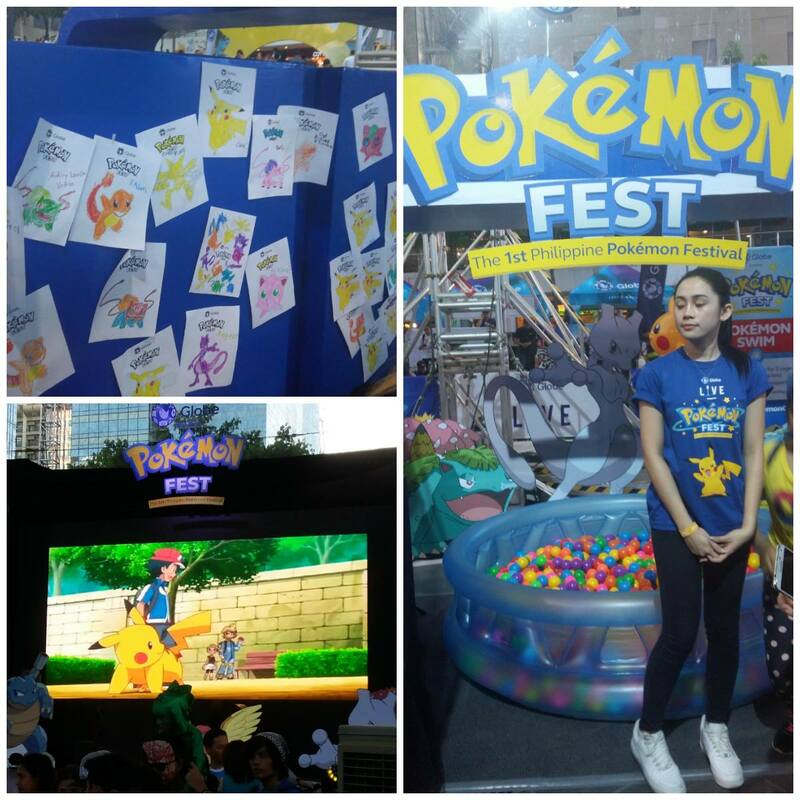 There were many things to do for the Pokemon fans, both for the kids and kids at heart. First step was to register for the FREE event. 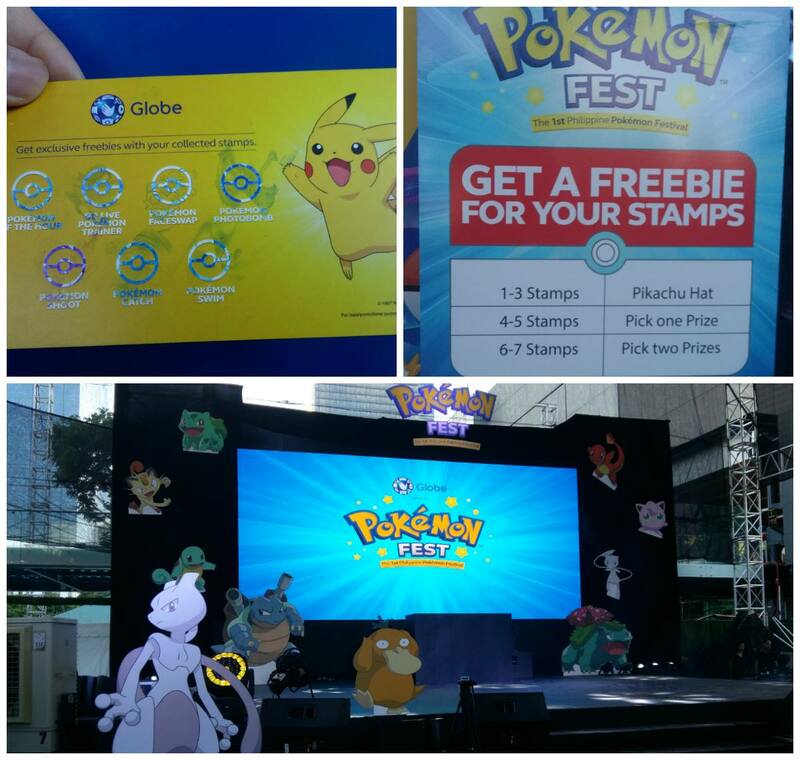 They give you a Pokemon Fest passport, which you get stamped after you visit each booth and complete the assigned activity. Since I’m the type who doesn’t back away from a challenge (especially if it’s Pokemon-related), I made sure I got all seven stamps. Although I didn’t get lucky enough to draw a Pokemon prize, I now have a Globe pen and coin purse to show for my hardwork. Hehehe. There was a coloring booth for kids, where they could color their favorite Pokemon (If you look closely enough, you can see a pink Bulbasaur at the upper right portion). 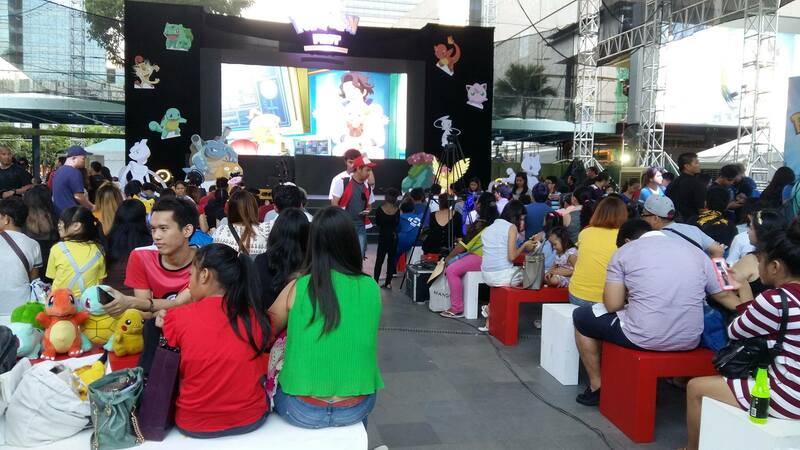 Attendees were also treated to selected Pokemon episodes. Shown here is Ash’s first time in the Kalos Region. 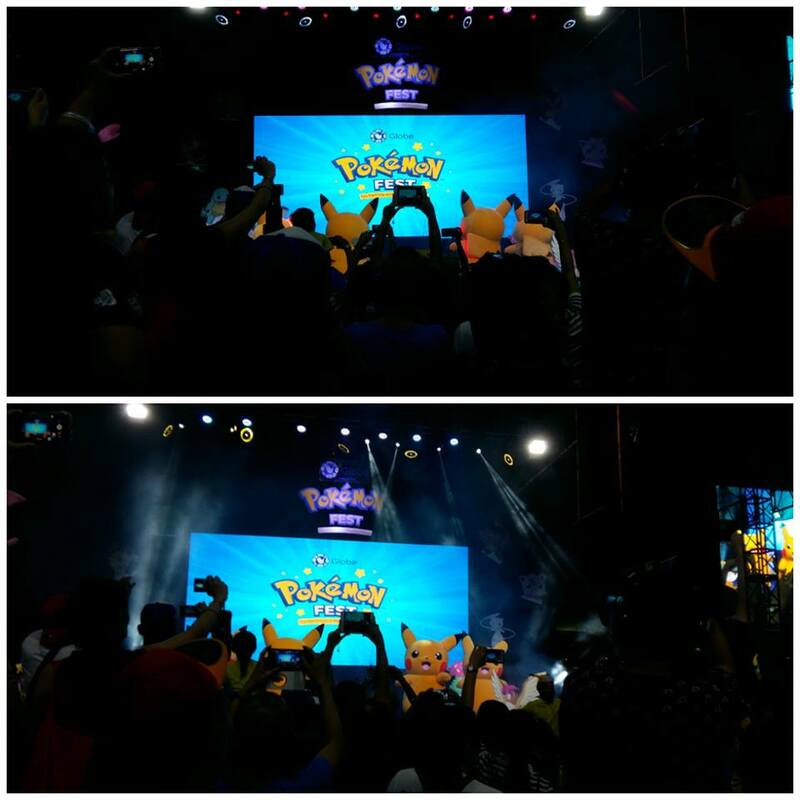 Bea Fabregas and Gino Lopez, Pokemon Go trainers themselves, did the hosting and energized the crowd. There was also a Cosplay competition/fashion show. 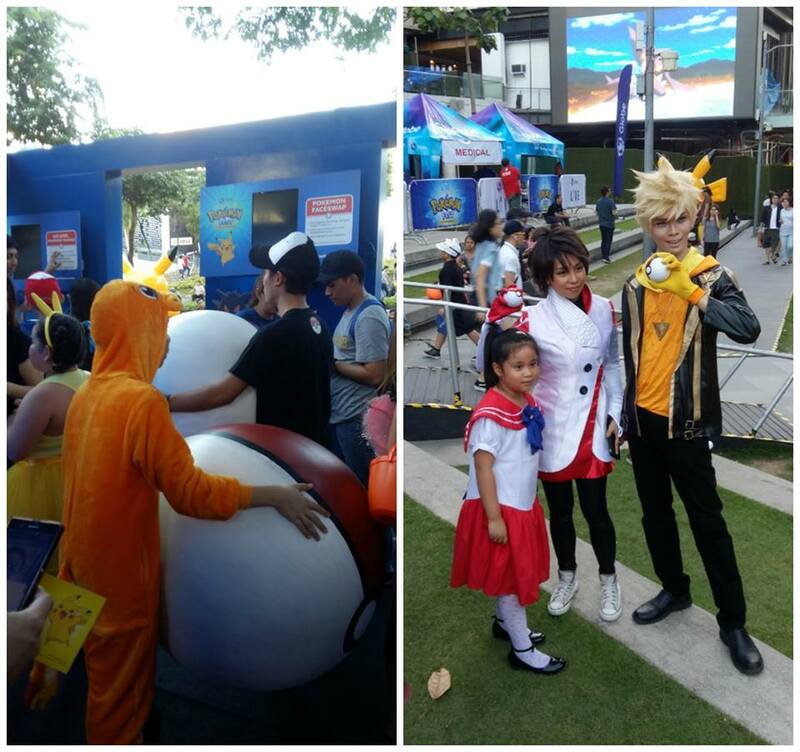 It was so amusing to see different people dressing up as their favorite Pokemon characters. 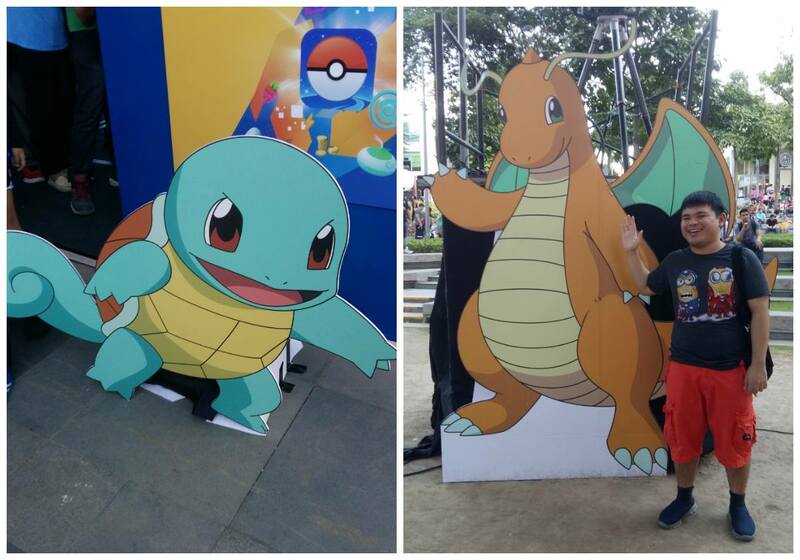 On the left, we see a Charmander get tired of living inside his Pokeball so he decides to carry it instead. On the right, Candela (from Team Valor) and Spark (from Team Instinct) take a break from rallying their trainers to have a photo op. Maybe they’re scheming against Blanche? Just kidding, Team Mystic! #SquadGoals: Without a doubt, everyone lit up whenever the Pikachus went on stage to do a cute dance number. 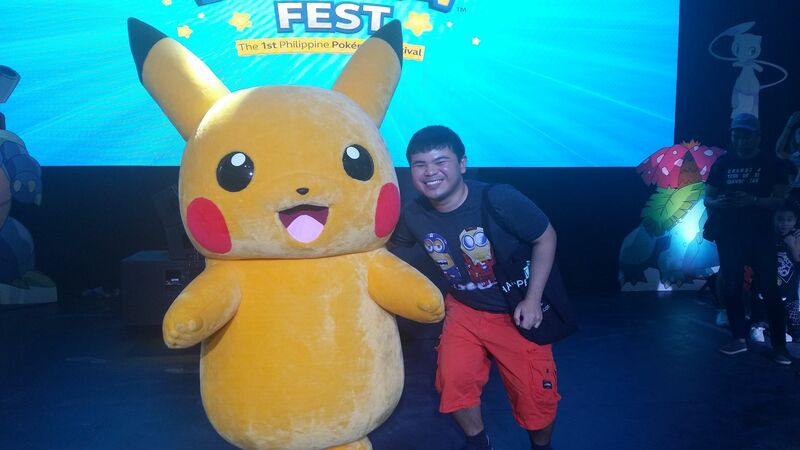 Below: Pikachu isn’t my favorite Pokemon, but who could resist flashing a big smile when you meet one up close? 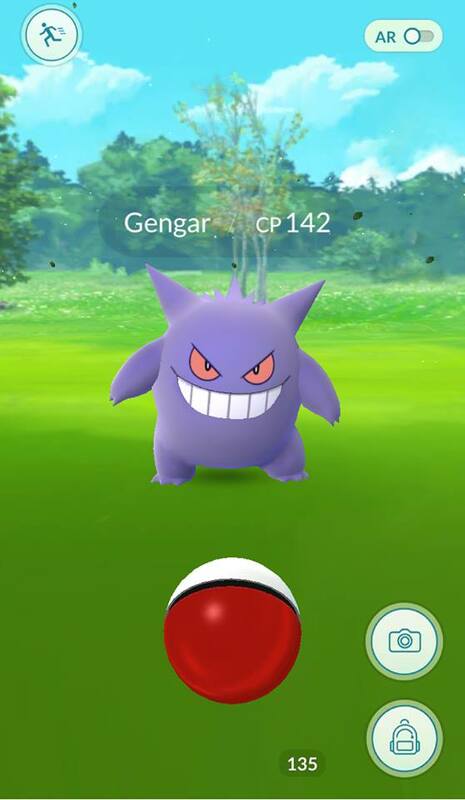 A Wild Gengar appeared! For a limited time only, Ghost and Psychic Pokemon spawn everywhere! 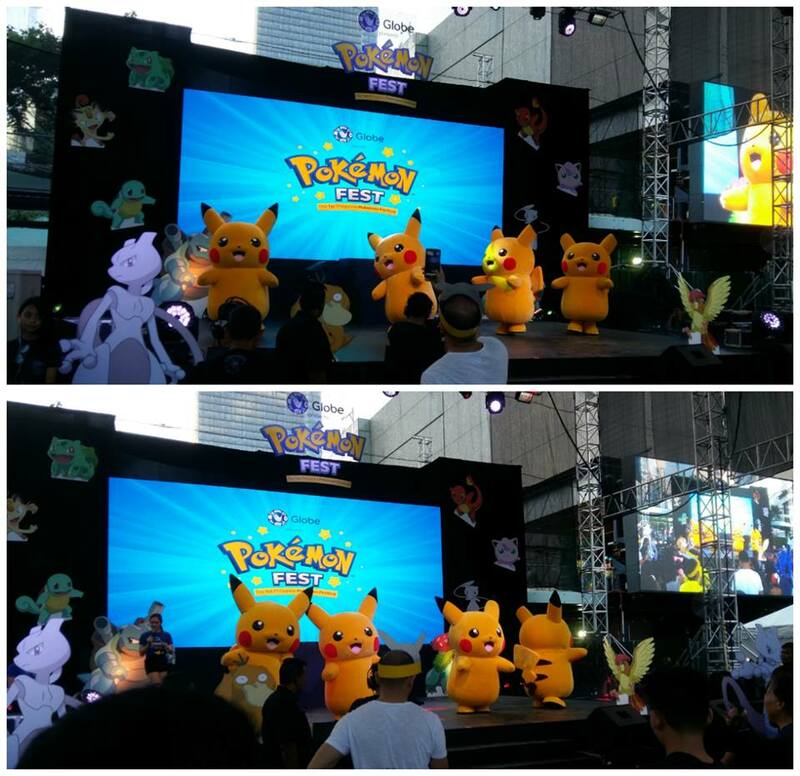 Globe’s Pokemon Fest was very much in sync with Niantic’s Halloween promo/event. 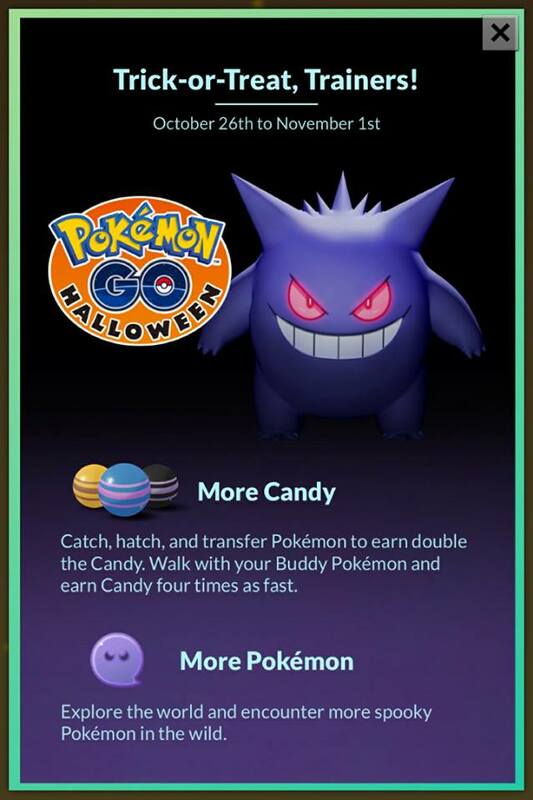 Spanning October 26 – November 1, this explosive update not only includes 6 candies per catch (instead of 3), 2 candies for every Pokemon transfer (instead of 1) and more candies per egg hatch, but also the frequent spawning of Ghost and Psychic Pokemon everywhere. There are also Cubones (must be the mask), Zubats (bats, of course) and Meowths! 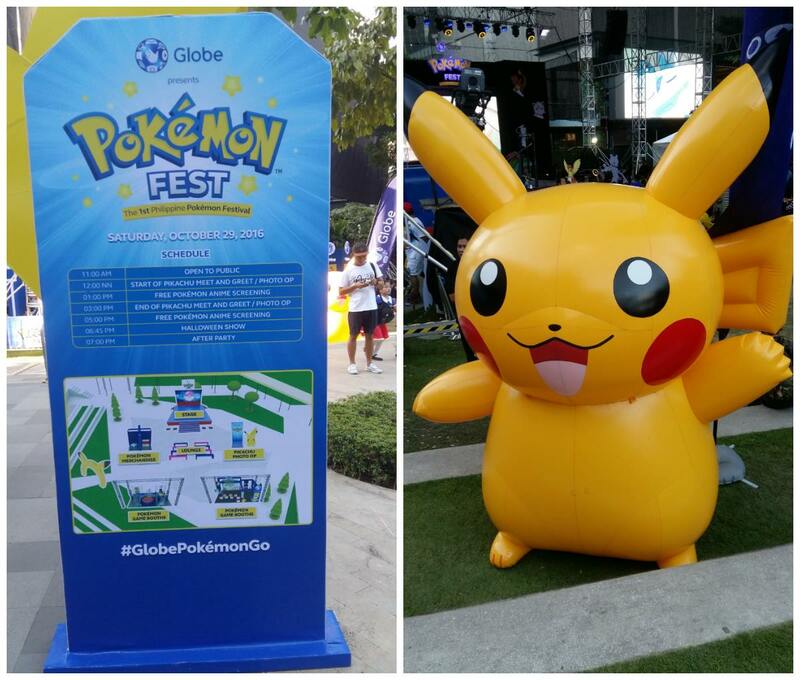 Although there were multiple lures set up by the ILoveGlobe account, there weren’t many rare Pokemon in the Pokemon Fest. Aside from those part of the promotion, I saw a couple of Scythers and Jynxes, but that was about it. Maybe in future events? Let’s cross our fingers! DID POKEMON GO LOSE STEAM? Let’s take a moment to assess the Pokemon Go presence in the country. There have been a lot of naysayers online regarding the game recently. People said they stopped playing because it was time-consuming. A popular opinion is that Pokemon Go isn’t rewarding enough (since when you try catching Pokemon, there seems to be an unlimited supply of Rattatas and Pidgeys in any given area). Other people had comments about gym battles, and raised issues about the unavailability of Pokemon trading, which is a pretty important feature in the Game Boy and Nintendo DS games. Of course, there were those who just played the game because it was the in thing. 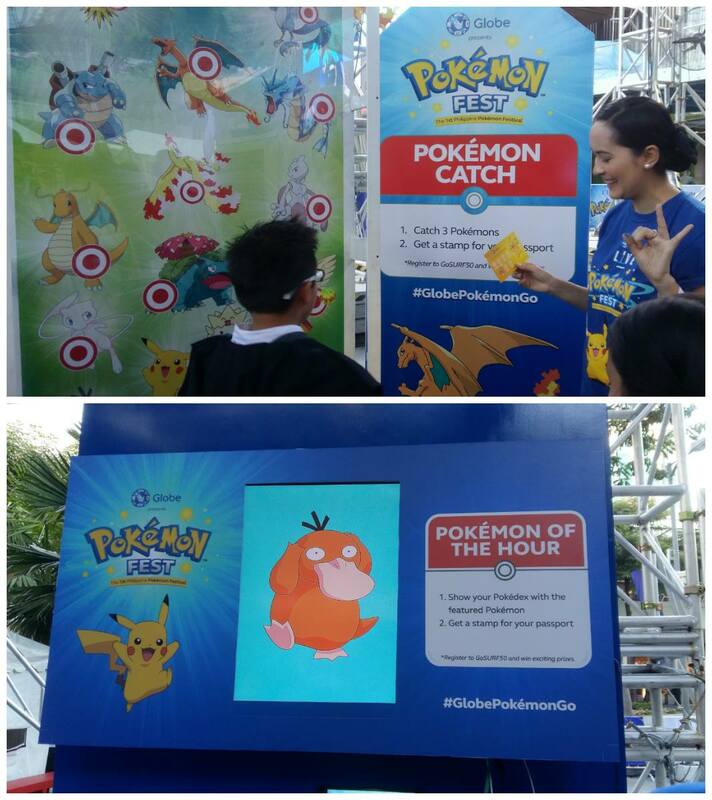 Regardless of the decline of Pokemon GO users here in the Philippines compared to a couple of months ago, the game is still going strong and roaring like an enraged Charizard. 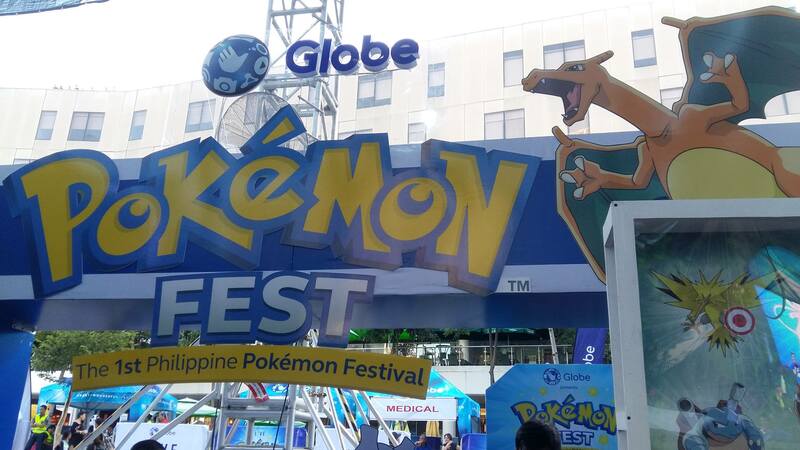 I was talking to a friend yesterday, and he said that he just spent six hours of his Sunday to catch Pokemon at Manila Ocean Park (there’s a lot to be found there, you guys should check it out when you get the chance). Six hours! He claims that he talked to a father and son tandem, and they actually checked in at a nearby hotel so they could bond over catching Pokemon together. Talk about dedication and loyalty! I heard of someone who biked around Luneta just so she could hunt for rare Pokemon. Now, she has 142 types of Pokemon! In the social media space, there might be less posts from your friends about Pokemon Go, but the app still hasn’t lost ground. The Pokemon Go PH public group on Facebook has almost a 100k members. I’m a member of Team Valor, and our group Pokemon Go PH: Team Valor (Red) has more than 7k people with daily posts and comments. You know why people are still playing? Because Pokemon Go is revolutionary. As my friend put it, because of the app, his dream of becoming a Pokemon trainer finally came true. Honestly, did we ever think we could catch Pokemon in real life? Pokemon Go has its flaws, but the benefits surely outweigh them. Just think about it: Aside from being entertaining, it encourages you to exercise (walking task for egg hatches), interact with people and meet new friends (just like what Ash experiences in his Pokemon journey), and feel like a kid of the 90s again. With just several months in operation, Pokemon Go is a pretty young game. There’s a lot of things left to do, and I’m sure if Niantic keeps on coming up with events such as the Halloween thing, players will always be back for more. The partnership with Globe Telecom was a good decision. 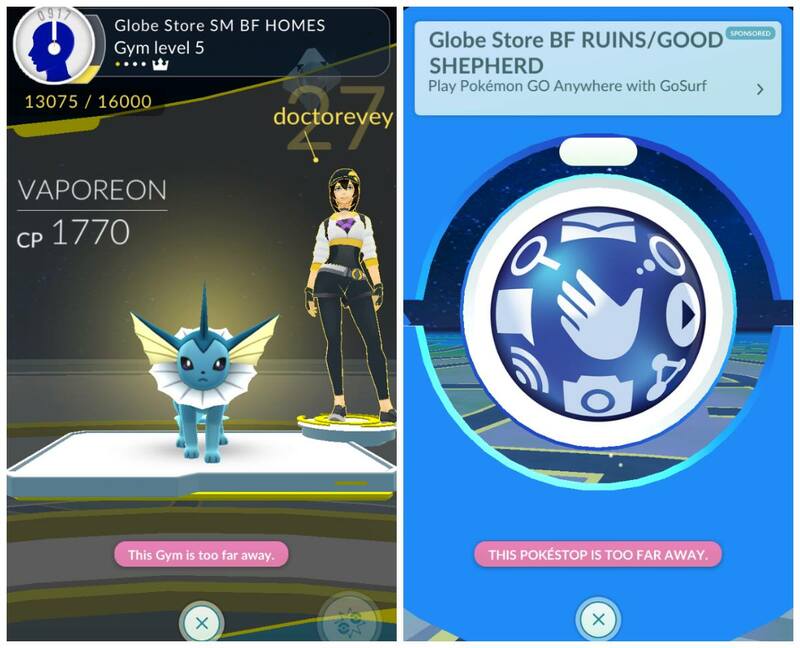 Aside from the festival, you may have noticed that there are more Pokestops around now, and Globe Stores have now been transformed into gyms. Now that there’s an official partner in the country, the app isn’t going anywhere. 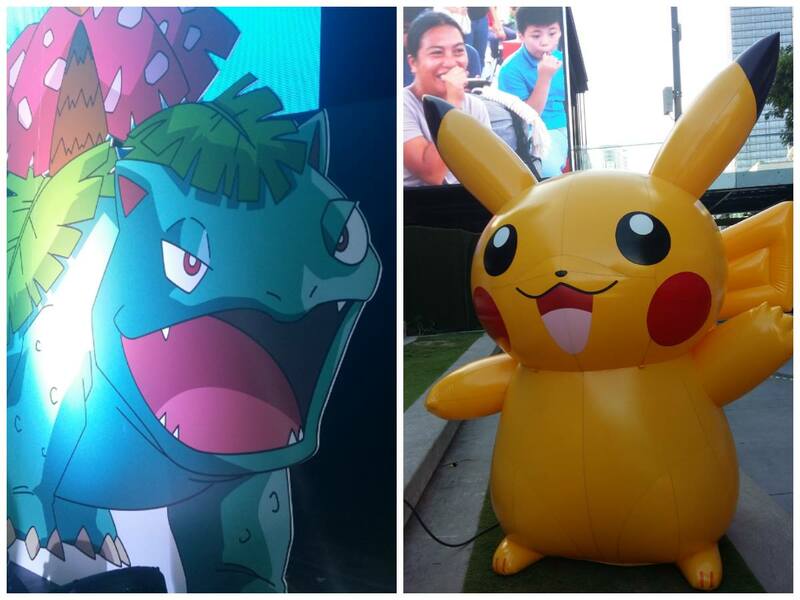 Although not perfect, the 1st Philippine Pokemon Festival was a great effort. Kudos to Globe for pulling it off! 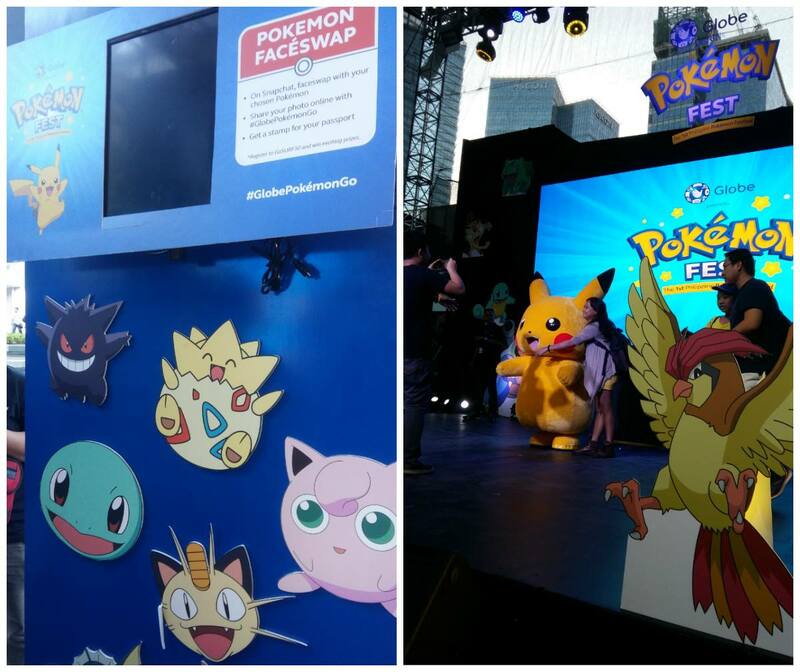 I certainly hope there will be more Pokemon Fests on the way. About the Pokemon Go Halloween event, it is important to note that it has proven to be a smash hit. It’s not yet even over and yet sites such as Gamespot are already reporting that Niantic is already back at the top of the charts, raking in a huge sum of money (http://www.gamespot.com/articles/pokemon-go-back-to-no-1-on-top-grossing-chart-afte/1100-6444908/ I have friends who even started playing again because of the update. Truly, things can only get better for Pokemon Go. Trainers, let’s be more patient with the updates, and have faith that we will be rewarded. I don’t know about you, but I am quite excited for the possible Christmas and Easter events! In the meantime, GOTTA CATCH ‘EM ALL!